A set of white, marquisette net curtain and valance with tieback in salmon pink. Net curtain width before gathering 350 cm, height 180 cm. 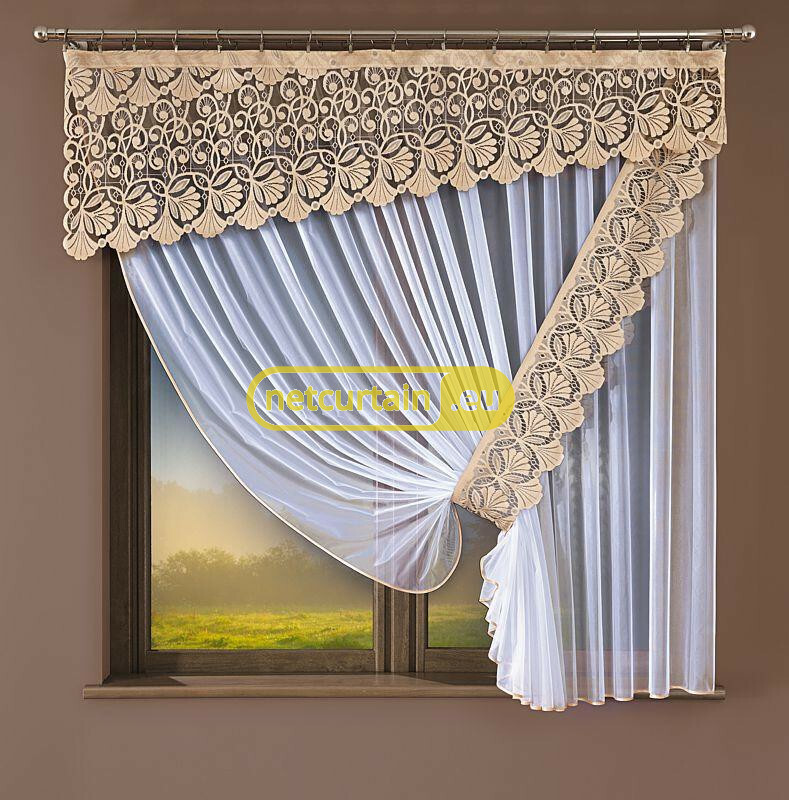 Valance width (which is hung flat) 220 cm, height 60 cm.